The Oil Search Health Foundation (OSHF) HIV Program recorded its 30,000th HIV test this week. Commencing HIV program support in late 2007, OSHF has played a major role in the scale-up of HIV testing in the Southern Highlands and Gulf provinces. Last year the team launched an additional round of support in Hela and Morobe provinces. The dedicated HIV Care & Prevention team have provided clinical training and mentorship, monitoring and evaluation support and logistical assistance to ensure a continuous supply of HIV test kits, medication and condoms to rural and remote health facilities. This is a major milestone for the Oil Search Health Foundation that could not have been achieved without the full support and commitment of provincial health staff. All involved are to be commended. Of the 30,000 HIV tests, 419 (1.4%) have been confirmed as HIV positive. Many of these individuals continue to receive antiretroviral medication and ongoing support in the 35 health facilities that the OSHF supports. 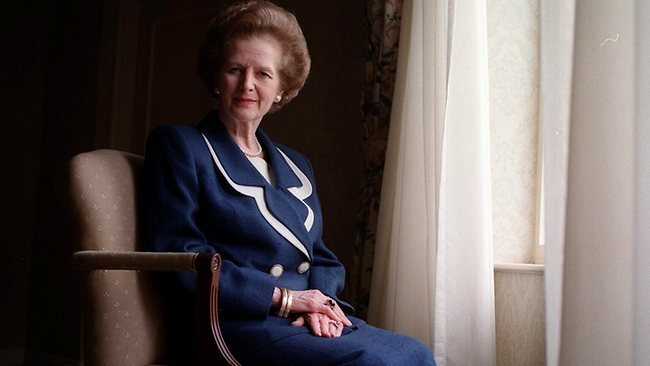 The former British Prime Minister, Mrs Margaret Thatcher, who died this week, was universally regarded as a no-nonsense ‘conviction politician’. Few know of her important role in the early adoption and vigorous implementation of a needle syringe programmes to control the spread of HIV in the United Kingdom. At that stage, in 1986, the Netherlands was the only country in the world to have started a similar policy. The discovery of the condition, now referred to as HIV/AIDS, was first announced to the world on 5 June 1981. It was clear very early on that this condition was a serious health, social and economic threat to the world but little was known about the nature and extent of this threat. Mrs Thatcher accepted the recommendations to establish a national needle exchange programme to slow the spread of HIV among and from people who inject drugs. The recommendation was made by a UK committee established to develop an effective response to HIV. The UK needle exchange programme undoubtedly prevented many HIV infections and much needless suffering as well as saving many lives and many pounds. Mrs Thatcher’s decision influenced many other countries to adopt needle syringe programs. Australia’s first needle syringe programme was established on 12 November 1986 as an act of civil disobedience and prompted the then NSW Government to establish a state wide system. All other states and territories followed within two years. Many assume that pragmatic drug policies are generally a product of left wing political parties and governments. This is not so. The experience of Mrs Thatcher in establishing a needle exchange programme in the UK in 1986 and President Nixon establishing a national methadone treatment programme in the USA in 1969 are examples of conservative politicians adopting pragmatic drug policies. Both were excellent decisions though still often criticised. On 2 April 1985, the then Prime Minister of Australia, Bob Hawke, convened a ‘Special Premier’s Conference’ (the ‘Drug Summit’) at which it was agreed by all 8 governments represented (the Commonwealth, six states, the Northern Territory) that ‘harm minimisation’ would henceforth be Australia’s official national drug policy. At the time, five of the governments were Labor while three – Queensland, Tasmania and the Northern Territory – were centre-right (National, Liberal and Country Liberal respectively). For many years, Australia’s response to HIV and drug policy has enjoyed support from all major parties. All nine Australian governments have continued to support harm minimisation since 1985 whatever the political hue of the party or parties forming government.